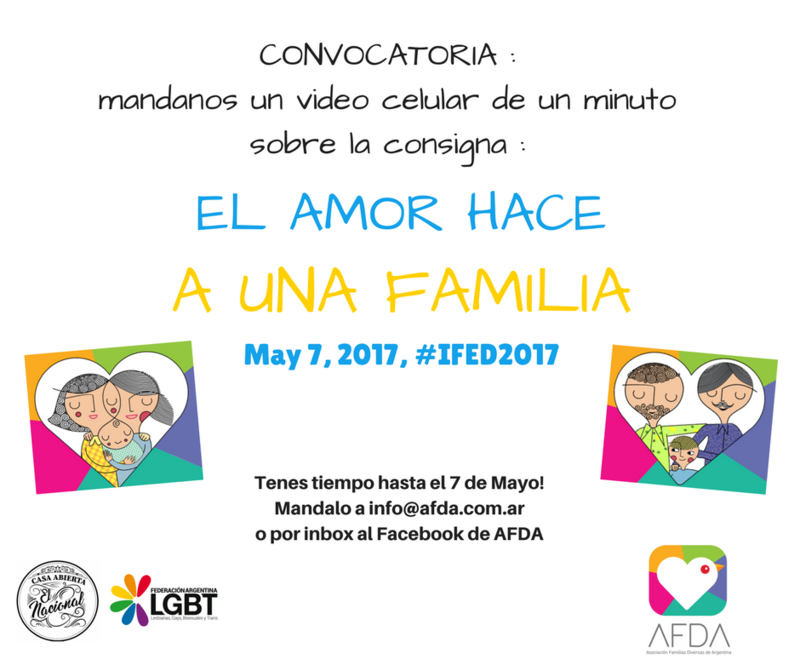 Send us your mobile video of 1 minute about this year motto #LovesMakesAFamily The videos will participate in the international celebration of # IFED2017 that celebrates the visibility of all LGBTIQ families around the world! Send it by inbox or to our mail info@afda.com.ar. You have time until May 7th!